Combining the blue of the facing Pacific Ocean, the green of sustainable design, and the gold of the Shore Hotel's LEED Gold Certification. 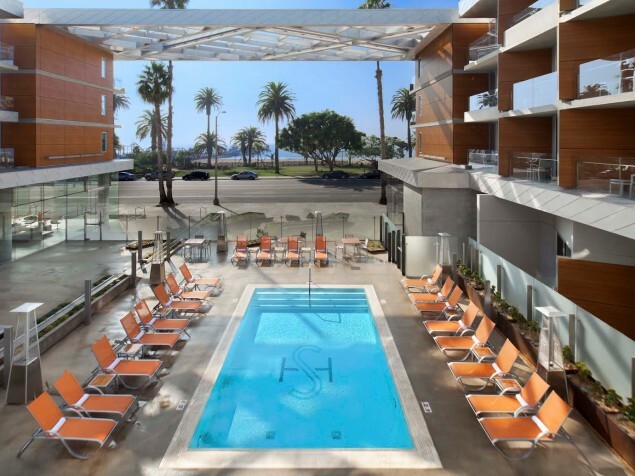 Right out of the gate, we cheer the location of the new Shore Hotel, occupying one of the best pieces of real estate in Santa Monica, California. Two rather ordinary hotel buildings that were unsuited for renovation were removed, and a new and improved Shore Hotel was born in October of 2011. 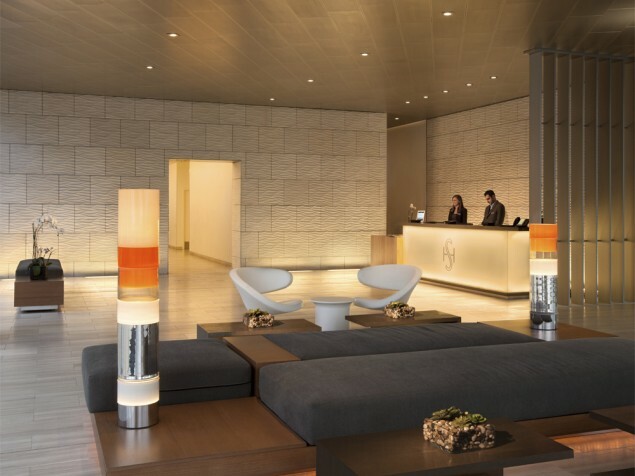 The hotel was designed by the long-established and acclaimed California architects Gensler Associates. Gensler has always been proactive in sustainable design both in their architecture and in their signature interior design. 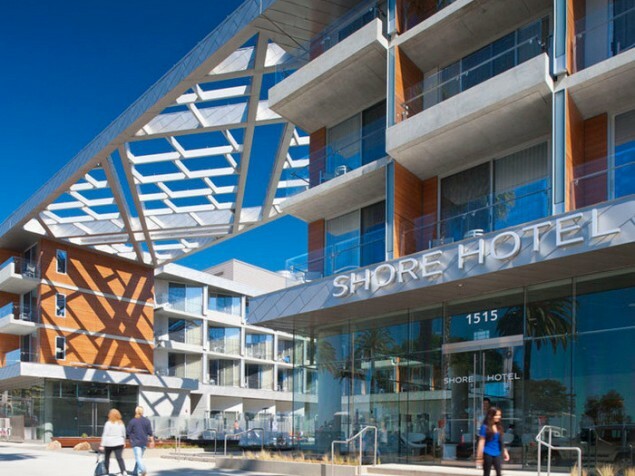 The decision to “go for the gold” in LEED was made early, and the Shore Hotel received its Gold Certification within 7 months of opening. Some of the main features that contribute to its LEED Gold rating include solar panels that generate electricity and heat the pool, natural ventilation, and the reuse of materials removed from the original hotels. There are 164 rooms, including 20 suites, all with balconies. 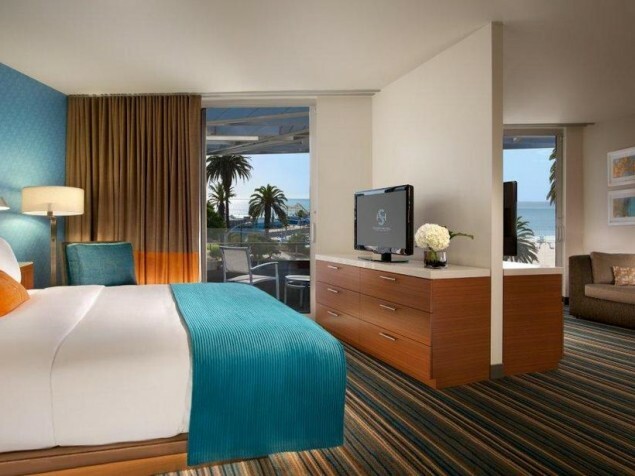 The guest rooms are typically designed in the soothing colors of the Southern California coastline. 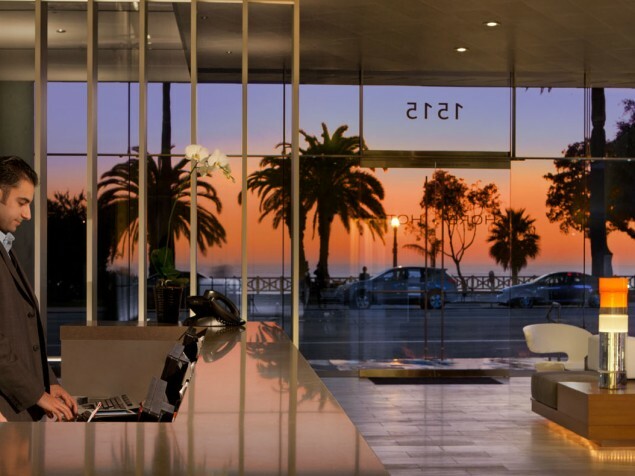 The urban architectural style and hip, upscale demographic of Santa Monica make the Shore a popular destination. Optimizing views to the Pacific Ocean were considered early in the hotel’s design phase. An elevated pedestrian bridge between guest wings provides distant coastal views. The recently-opened Blue Plate Taco restaurant offers contemporary and healthy menus inspired by the coastal towns of Southern Mexico. 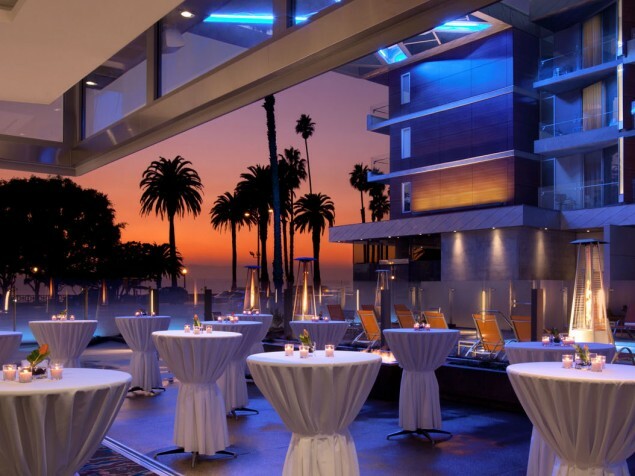 The Shore Hotel’s ocean setting is also taken advantage of in the design of the meeting and event spaces. While meeting rooms at most hotels are relegated to windowless spaces, the designers of the Shore took the opposite approach. The Green Room has fully-retractable glass doors that open onto the adjacent patio. This space is also ideal for sunset cocktail receptions. The hotel also has a 24-hour business center and a 24-hour fitness center. 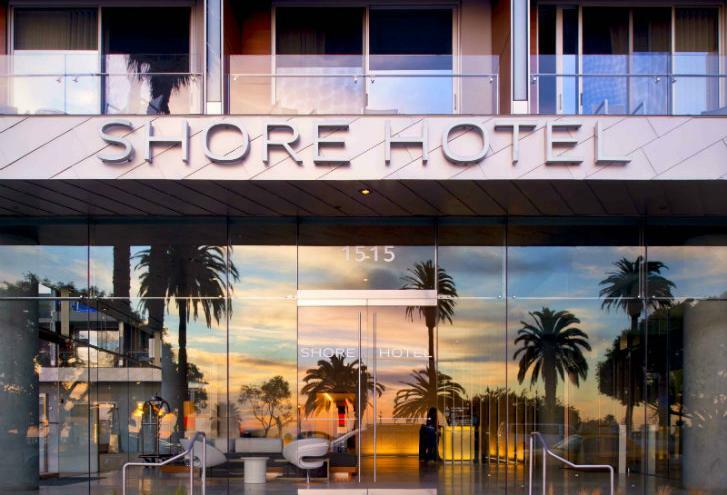 The Shore Hotel brilliantly expresses the soul and essence of Santa Monica and the environmentally-conscious Southern California lifestyle. It is an ideal place to stay, to dine and to meet.